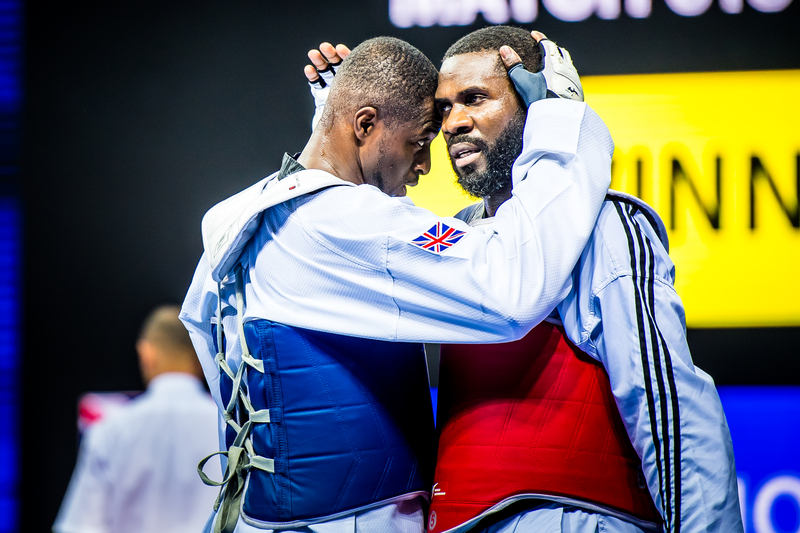 Mahama Cho may have lost his luggage but he won his first gold medal of the year as GB Taekwondo fighters left their mark on the President’s Cup event in Turkey. The London heavyweight was one of four GB title winners in Antalya despite less than ideal preparations. But the Rio Olympian made the most of his circumstances to join twice world champion, Bianca Walkden, World Grand Slam winner, Lauren Williams, and Grand Slam runner-up, Bradly Sinden, on top of the podium. 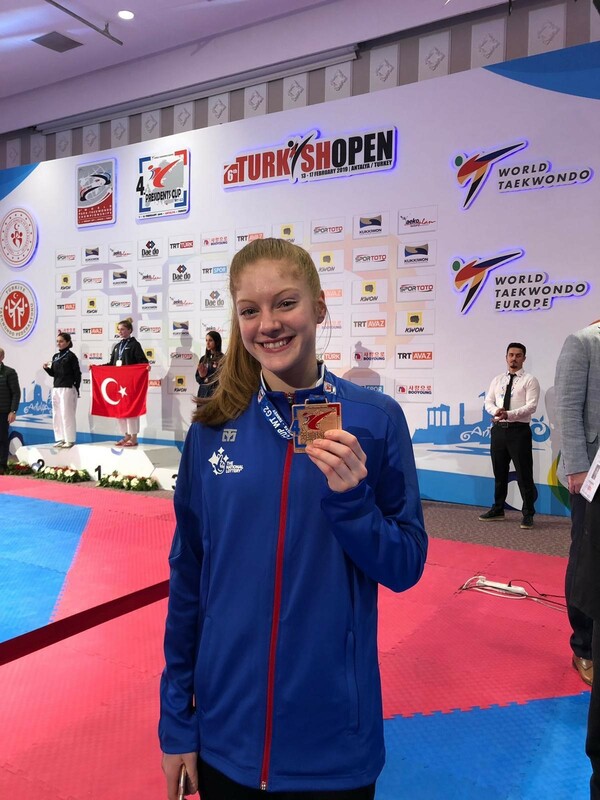 Scotland’s junior world champion, Jordyn Smith, also claimed bronze. “Some people would have been frustrated if they hadn’t got the things they needed for competition,” said Cho forced to buy gloves, electronic socks and even boxer shorts on his arrival. “But I remember from our focus day the thoughts of being positive and seeing the best out of all situations. “Obviously, it’s not the best going into a tournament without the stuff you need,” added Cho after his 14-3 success over Croatia’s Vedran Golec in the +87kg final. “But I stayed positive and I am happy I was able to perform to the best of my ability and earn points towards qualifying a place for Tokyo 2020. Cho, whose fighting tunic was in his hand luggage, had to borrow other items from GB coaching and medical staff plus other competitors to ensure he was ready for action. Liverpool heavyweight and world number one Walkden had a walkover in the +73kg final when Polish rival Aleksandra Kowalczuk withdrew through injury. But she still achieved some notable victories en route to the gold medal match. “It’s great to start the year with gold and the plan is to keep it going with more golds,” she said. Welsh star Williams defeated Russian Anastasiia Baklanova in the -67kg final to claim her latest title. “It is amazing to start the year strongly,” said the reigning European champion. Doncaster star Sinden beat Spain’s Javier Perez Polo 23-15 in the -68kg final after team mate Christian McNeish’s last 32 exit against Sweden’s Ali Allan. “It’s very important to start the year as you mean to go on,” said the consistent Yorkshire star. “The President’s Cup is one of the main competitions with good ranking points. Teenager Smith lost in the semi-finals to number one seed Kyriaki Kouttouki of Cyprus after showing her ability in the earlier rounds of the -46kg division. 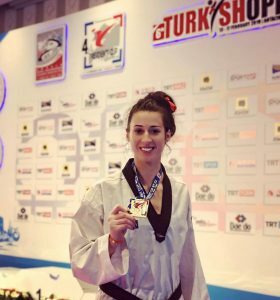 “It was great to get the first medal of the year in the first competition of the year,” she explained. In the men’s events double world championship medallist, Damon Sansum, lost 32-12 against Piero Maric of Croatia in the last 32 of the -80kg division and Josh Calland went down 37-36 at the same stage of the -63kg competition to Russian Bolat Izutdinov. In the women’s events Rebecca McGowan suffered a quarter-final exit at -73kg against Turkey’s 2015 world champion, Nafia Kus while Maddison Moore (-49kg) and Kyla Julien (-57kg) lost respectively against Serbia’s Vanja Stankovic and Bruna Vuletic of Croatia.